Some artists are known to be prolific in producing work, but the same can’t be said for painter Julian Schnabel, or at least as far as his side job of directing is concerned. The artist, who has made a name for himself with his plate paintings, made his directorial debut with Basquiat in 1996, a biopic about the life of the New York street artist. This was followed by Before Night Falls in 2000, and The Diving Bell and the Butterfly in 2007. It’s been eight long years since his last feature, and for his latest, his career goes full circle, focusing as it does on yet another artist, this time Dutch painter Van Gogh. this is so much easier with the numbers to paint. There’s a permanent greyness to the light in Paris that frustrates painter Vincent van Gogh (Willem Dafoe). His friend and fellow artist Paul Gauguin (Oscar Isaac) urges him to head south, where the light is visibly brighter. Although Vincent is broke, his kind and caring brother Theo (Rupert Friend) gives him enough money so he can get to Arles, in the southern tip of France. True to Gauguin’s word, Vincent finds the light exceptional, as the floodgates to his creativity open up and flow. Despite the good light, Vincent is tormented by darkness, which leads to him being institutionalised a number of times. And with his ongoing struggle to sell any of his paintings once released, his horizon offers nothing other than a bleak view. Theresa you were right, these wheat fields are lush!!! After last year’s sumptuous Loving Vincent, it takes a brave man to revisit the life of Van Gogh. But artists look at material with a different eye, and Schnabel clearly thought there was something there to stir him from his directing slumber. It doesn’t do any harm having Dafoe as your Gogh to man. On screen, not only does it look like a role he was born to play, a few minutes in, it’s difficult to think of anyone else playing him. There’s a humanity to his Gogh, and although Schnabel dabs his brush in the well of his madness, he doesn’t go mad with it, as it were, on his cinematic canvas. The narrative is a curiosity though; it flips back and forth between English and French quite regularly, which is a little off-putting. Maybe Dafoe’s French wasn’t up to an entire film, but then it would have just been easier to go the full English. Also, the story gets lost in the visuals occasionally, which you would expect from an artist such as Schnabel. 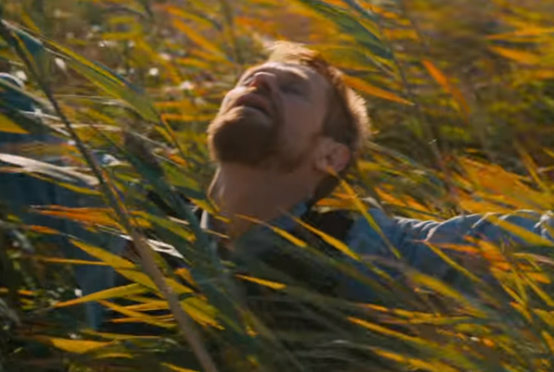 But maybe there are one too many scenes of Gogh running through a field with glee. It does feel, particularly with the strong cast involved, that a more vibrant re-telling of Gogh’s story could have been told. And as a work of art, it doesn’t even come close to Loving Vincent. 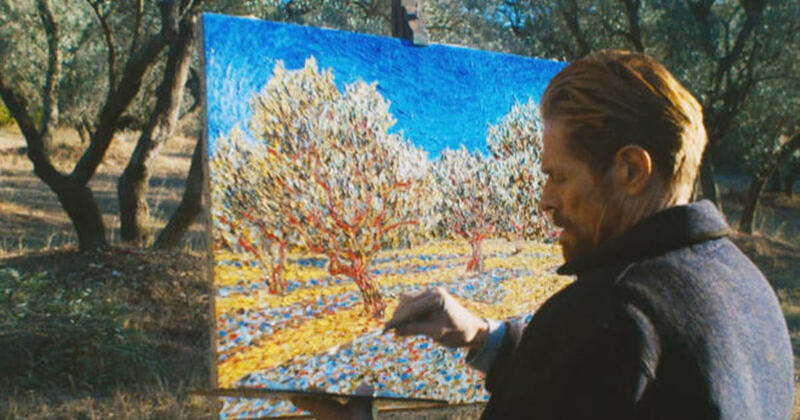 If you’re a fan of Dafoe however, it’s definitely well worth a watch, as his take on Gogh is likely to leave a lasting impression.